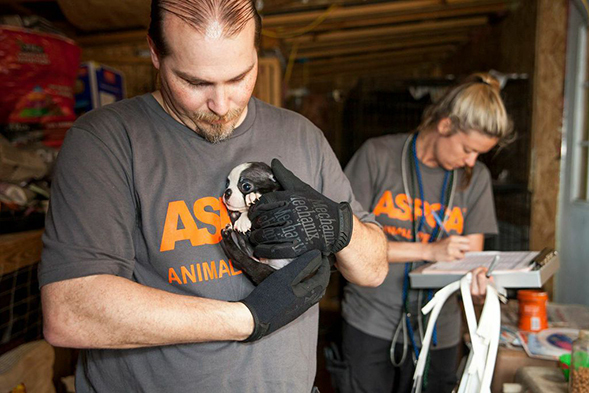 The ASPCA is on the ground assisting in the removal, transport, sheltering and medical treatment of more than 130 dogs from a large, substandard breeding facility—frequently referred to as a puppy mill—in Needham, Alabama. 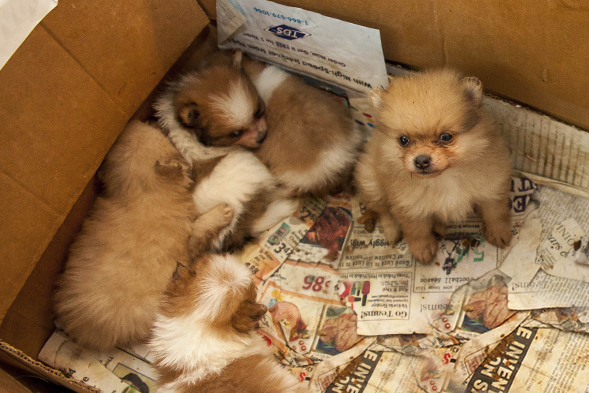 Acting at the request of the Choctaw County Sheriff’s Office, our responders discovered the dogs—including Chihuahuas, Yorkshire Terriers and Pomeranians—living in filthy, deplorable conditions. Many have untreated medical issues, including hypothermia, dehydration, dental disease and painful ocular damage resulting in blindness. The dogs were being housed in ramshackle kennels. Both owners of the facility were detained Wednesday morning and cruelty charges are expected to follow. Law enforcement also discovered illegal drugs and nearly $20,000 in cash on the property. This operation is the result of an investigation prompted by numerous complaints about conditions at the breeding facility. 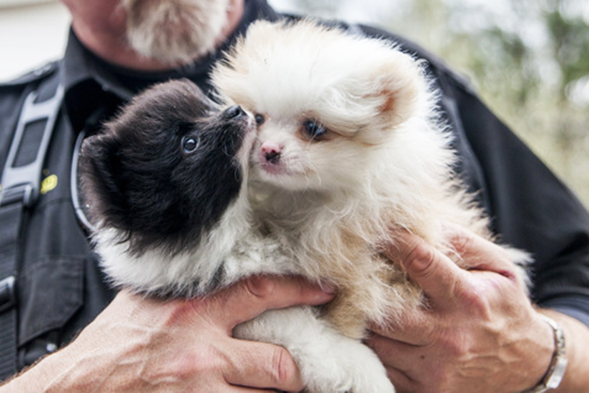 Several dogs acquired from the facility were discovered to be severely ill soon after purchase. We’ve established a temporary shelter where the dogs will receive veterinary exams and care along with behavioral enrichment from the ASPCA Anti-Cruelty Behavior team. The ASPCA forensics team is also collecting and analyzing forensic evidence. Our new Medical Animal Surgical Hospital (MASH)—a custom-built, mobile medical unit—will allow veterinarians to provide critical care to dogs on-site. This operation is a huge undertaking, and we need your support. 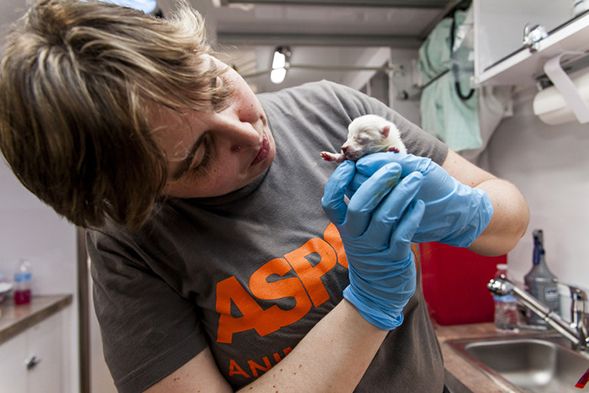 Please consider making a donation to the ASPCA today to help these dogs, and the countless others who still need our help.